Maryam Tabibzadeh was born In Darab, Pars in Persia (Iran) . She earned her masters from Shiraz University and moved to the U.S., where she attended and graduated from SUNY Binghamton school of Advance Technology. Ms. Tabibzadeh has been writing and publishing stories and poems in her native Persian for more than 20 years. 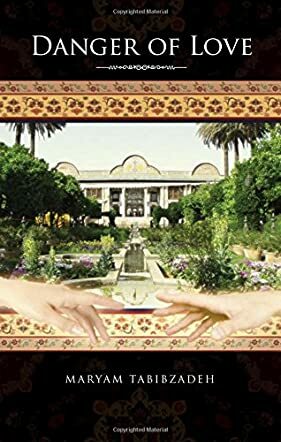 Her published book are Persian Dreams, Iran, and Roya. She currently resides in Raleigh, NC. In Maryam Tabibzadeh’s Danger of Love, Marjan lived her life according to other people. She is beautiful and educated, but she is also the daughter of a powerful man in Persia. At the age of nine, she got married to a much older man who already had two wives before her. Living her life in loneliness, she longs for affection and companionship. Her husband is away most of the time, and when he gets back, the other two women in his life demand attention and he caves, leaving Marjan saddened and bereft. Russ is a British doctor who is sent to Persia right before World War II began. He spent his days and nights diligently working to serve people and make God happy through his actions. But at thirty-five years of age, he is longing for a deeper connection with another human being. He is handsome with blue eyes and golden hair, and he certainly does not lack for female attention. When Marjan and Russ meet, they feel attraction, desire, and soon they fall in love. But the cultural differences, religious differences, and the fact that Marjan is married become a huge hurdle in their way. When the news of their affair spreads, their lives are in danger. Can they keep their love or will they lose their lives? Maryam Tabibzadeh’s Danger of Love showed how beautiful love can be. Love does not see any boundaries presented by religion, caste, or culture. It is pure and it is simple. I really loved the deep emotion, especially because it was portrayed in such a simple manner. This novel showed that you do not need to use fancy words to show your affection. I really enjoyed it. Five stars from this smitten reader!